• Mine intelligence: Within social networks lies a gold mine of information needs/wants/challenges. • Show relevance: The ability to connect with customers and demonstrate why you’re worthy of their time and attention in these networks. • Once you’ve earned relevance based on intelligence, you can then have the foundation to trigger actions, reactions, and transactions. And then measure them. 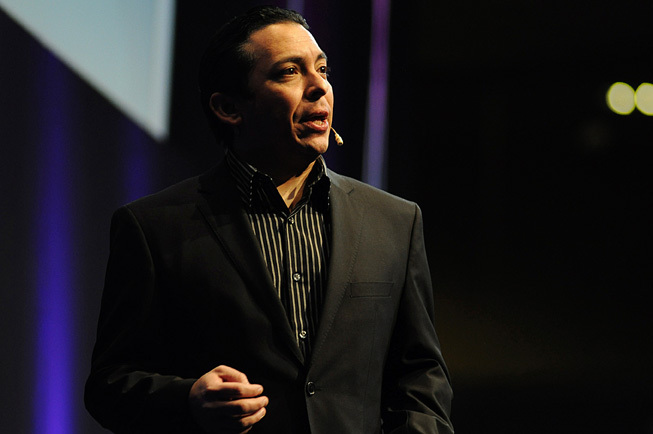 Brian Solis is a busy, busy man. As a best-selling author and thought leader on the subject of new media (Advertising Age’s Power 150 list has ranked his blog 12th in the world), Solis is much sought after as a public speaker. He tallied no less than 100 appearances all over the globe in 2010 and, given his jammed schedule, it’s no surprise he’s so intensely au fait with social media. Times have certainly changed, so much so that in 1999, he founded FutureWorks: an award-winning digital agency that leads interactive and social programs for Fortune 500 companies. Currently, he works as principal at Altimeter Group, a research-based advisory firm that helps build bridges between companies and customers through “disruptive technologies.” Solis has also been named in 40 Under 40 lists by the San Jose Business Journal and was highlighted as one of the most influential leaders of the customer relationship management (CRM) industry in 2010 by CRM magazine. He is also a cofounder of the Social Media Club, a national organization that convenes events for the purposes of sharing best practices, establishing standards, and promoting social-media literacy. With such an involved marketing strategy required, Solis says it’s foolish for businesses to think they can effectively operate without a dedicated person or team. Businesses need to also consider the question of “why” (something that Solis believes is frequently overlooked when businesses address their use of social media). Answering that question requires an understanding of the communities of people (those formerly known as the “audience”) that a business is trying to reach, what motivates them, what happens after they engage, what they value, and so on. For Solis, business has been presented with an opportunity to do something “amazing,” that hasn’t been possible before: to connect with the customer who is also connected to other customers. Instead of going after impressions, companies can go after what he refers to as the “ART” [actions, reactions, and transactions] of new media—all in real time.